Part Two: Did Bruce Ivins Hide Attack Anthrax from the FBI? Part Three: Was FBI’s Science Good Enough to ID Anthrax Killer? WASHINGTON — Months after the anthrax mailings that terrorized the nation in 2001, and long before he became the prime suspect, Army biologist Bruce Ivins sent his superiors an email offering to help scientists trace the killer. Already, an FBI science consultant had concluded that the attack powder was made with a rare strain of anthrax known as Ames that’s used in research laboratories worldwide. In his December 2001 email, Ivins volunteered to help take things further. He said he had several variants of the Ames strain that could be tested in “ongoing genetic studies” aimed at tracing the origins of the powder that had killed five people. He mentioned several cultures by name, including a batch made mostly of Ames anthrax that had been grown for him at an Army base in Dugway, Utah. 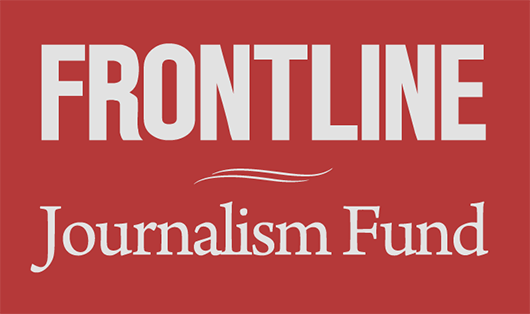 FRONTLINE, McClatchy and ProPublica have taken an in-depth look at the case against Ivins, conducting dozens of interviews and reviewing thousands of pages of FBI files. Much of the case remains unchallenged, notably the finding that the anthrax letters were mailed from Princeton, N.J., just steps from an office of the college sorority that Ivins was obsessed with for much of his adult life. But newly available documents and the accounts of Ivins’ former colleagues shed fresh light on the evidence and, while they don’t exonerate Ivins, are at odds with some of the science and circumstantial evidence that the government said would have convicted him of capital crimes. While prosecutors continue to vehemently defend their case, even some of the government’s science consultants wonder whether the real killer is still at large. Paul Kemp, who was Ivins’ lawyer, said the government never told him about two of the samples, a discovery he called “incredible.” The fact that the FBI had multiple samples of Ivins’ spores that genetically matched anthrax in the letters, Kemp said, debunks the charge that the biologist was trying to cover his tracks. “You can get into the weeds, and you can take little shots of each of these aspects of our vast, you know, mosaic of evidence against Dr. Ivins,” she said in an interview. But in a trial, she said, prosecutors would urge jurors to see the big picture. “I don’t know how it would have been possible to convict him,” said Fraser-Liggett, the director of the University of Maryland’s Institute for Genome Sciences. “Should he have had access to a potential bio-weapon, given everything that’s come to light? I’d say no. Was he just totally off the wall, from everything I’ve seen and read? I’d say, yes. Yet the FBI never could prove that Ivins manufactured the dry powder from the type of wet anthrax suspensions used at Fort Detrick. It couldn’t prove that he scrawled letters mimicking the hateful rhetoric of Islamic terrorists. And it couldn’t prove that he twice slipped away to Princeton to mail the letters to news media outlets and two U.S. senators, only that he had an opportunity to do so undetected. Before focusing on Ivins, the FBI spent years building a case against another former Army scientist. Steven Hatfill had commissioned a study on the effectiveness of a mailed anthrax attack and had taken ciprofloxacin, a powerful antibiotic, around the dates of the mailings. Then-Attorney General John Ashcroft called Hatfill a “person of interest,” and the government eventually paid him a $5.8 million settlement after mistakenly targeting him. Growing up in Ohio, the young Bruce Ivins showed an early knack for music and science. But his home life, described as “strange and traumatic” in a damning psychological report (PDF) released after his death, left scars that wouldn’t go away. After taking a research job at the University of North Carolina at Chapel Hill, Ivins discovered that a doctoral student, Nancy Haigwood, was a KKG alumnus and tried to strike up a friendship. When she kept him at a distance, Ivins turned stalker, swiping her lab book and vandalizing her fiance’s car and the fence outside her home. Two decades later, when Haigwood received an FBI appeal for scientists nationwide to help find the anthrax mailer, she instantly thought of Ivins and phoned the FBI. Investigators didn’t home in on him for years. Later, after snooping on emails in which the two technicians discussed him, Ivins told a therapist that he’d schemed to poison Linscott, but aborted the plan at the last minute. By the late 1990s, he was one of USAMRIID’s top scientists, but the institute was enmeshed in controversy. Worried that Iraqi leader Saddam Hussein had made large quantities of anthrax before the 1991 Persian Gulf War, President Bill Clinton had ordered that all military personnel be inoculated with a 1970s-era vaccine, not just those in war zones. But soldiers complained of ill health from the vaccine, some blaming it for the symptoms called Gulf War syndrome. Later, Karl Rove, political adviser to new President George W. Bush, suggested that it was time to stop the vaccinations. Further, a Pentagon directive — although quickly reversed in 2000 — had ordered a halt to research on USAMRIID’s multiple anthrax-vaccine projects. Federal prosecutors say these developments devastated Ivins, who’d devoted more than 20 years to anthrax research that was now under attack. Published reports have suggested that Ivins had another motive: greed. He shared patent rights on the new vaccine. If it ever reached the market, after many more years of testing and study, federal rules allowed him to collect up to $150,000 in annual royalties, and he might have stood to reap tens of thousands of dollars. If that was his plan, it didn’t go well. After the attacks, Congress approved billions of dollars for bio-defense and awarded an $877.5 million contract to VaxGen Inc. to make the new vaccine, but scrapped it when the California firm couldn’t produce the required 25 million doses within two years. Ivins received modest royalty payments totaling at least $6,000. He told prosecutors he gave most of the money to others who worked with him on the project, said Kemp, his defense attorney. Kemp said that prosecutors told him privately that they’d dismissed potential financial returns as a motive. That incentive wasn’t cited in the Justice Department’s final report. The relatively lax security precautions that were in place at U.S. defense labs before the mailings and Sept. 11 terrorist attacks offered many opportunities for a deranged scientist. Prosecutors said Ivins had easy access to all the tools needed to make the attack spores and letters. 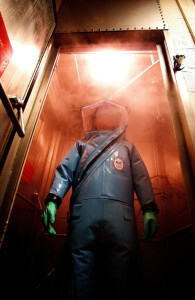 Researchers studying dangerous germs work in a “hot suite,” a specially designed lab sealed off from the outside world. The air is maintained at “negative pressure” to prevent germs from escaping. Scientists undress and shower before entering and leaving. Like many of his colleagues at Fort Detrick, Ivins dropped by work at odd hours. In the summer and fall of 2001, his night and weekend time in the hot suite spiked: 11 hours and 15 minutes in August, 31 hours and 28 minutes in September and 16 hours and 13 minutes in October. He’d averaged only a couple of hours in prior months. Swiping a security card each time he entered and left the suite, he created a precise record of his visits. Rules in place at the time allowed him to work alone. Sometime before the mailings, prosecutors theorize, Ivins withdrew a sample of anthrax from his flask — labeled RMR-1029 — and began to grow large quantities of the deadly germ. If so, his choice of strains seemed inconsistent with the FBI’s portrait of him as a cunning killer. Surrounded by a veritable library of germs, they say, Ivins picked the Dugway Ames spores, a culture that was expressly under his control. If Ivins did make the seven-hour round-trip drive from Fort Detrick, he would’ve had to travel overnight. Investigators said he reported to USAMRIID at 7 a.m. Tuesday for a business trip to Pennsylvania. Colleagues who worked with Ivins in the hot suite and think that he’s innocent say he’d never worked with dried anthrax and couldn’t have made it in the lab without spreading contamination. Without a fermenter, it would have taken Ivins “30 to 50 weeks of continuous labor” to brew spores for the letters, said Henry Heine, a former fellow Fort Detrick microbiologist who’s now with the University of Florida. Prosecutors and a National Academy of Sciences panel that studied the case said the anthrax could have been grown as quickly as a few days, though they didn’t specify a method. Fraser-Liggett, the FBI’s genetics consultant, questioned how someone who perhaps had to work “haphazardly, quickly” could have avoided leaving behind tiny pieces of forensically traceable DNA from the attack powder. “This notion that someone could have stuck a Q-tip up in there and found, you know, a scrap of ‘1029’ DNA, I think is, with all due respect, it’s inconsistent with the reality of what was actually happening,” she said. Yet in 2007, six years after the letters were mailed, the FBI carefully searched Ivins’ home and vehicles looking for, among other things, anthrax spores. None were found. On Oct. 15, an intern in Daschle’s office opened a nondescript envelope with the return address “4th Grade, Greendale School, Franklin Park, NJ 08852.” A white powder uncoiled from the rip, eventually swirling hundreds of feet through the Hart Senate Office Building, where dozens of senators work and hold hearings. It would take months and millions of dollars to fully cleanse the building of spores. Ill-prepared to investigate America’s first anthrax attack, the FBI didn’t have a properly equipped lab to handle the evidence, so the Daschle letter and remaining powder were taken to Fort Detrick.